He estado sirviendo a clientes que ahora considero amigos desde hace más de 20 años. De una empresa de propiedad familiar y operado de inmuebles venida me ha dado una visión dinámica de la "perspectiva del arrendatario residencial, el comprador, el propietario y el vendedor, así como la comprensión de inquilino comercial e inversionista de bienes raíces. Trabajando como un bien inmueble asociado mayor me ha dado experiencia invaluable del mercado de bienes raíces de Nueva York. Yo tengo la suerte de haber nacido y criado en Nueva York. He vivido y trabajado en otras partes del país, incluyendo Las Vegas, estado de Nueva York, Long Island y Florida, pero no se siente como la ciudad de Nueva York. Cada barrio tiene un sabor diferente a él y cada uno se siente como si estuviera en otra parte del mundo. Además, me gusta conocer gente nueva y trabajar con ellos. He tenido el beneficio de viajar a Inglaterra, Francia, Alemania, Austria, México, Brasil, República Dominicana e Israel. Siempre estoy emocionado de trabajar con personas de diferentes partes del mundo y cumplir con sus necesidades de bienes raíces. La honestidad, la integridad, la paciencia y la comprensión es mi forma de vida, y no tendrían de otra manera. Siempre es emocionante ser parte del viaje de una persona en la búsqueda de un nuevo hogar en la ciudad de Nueva York. 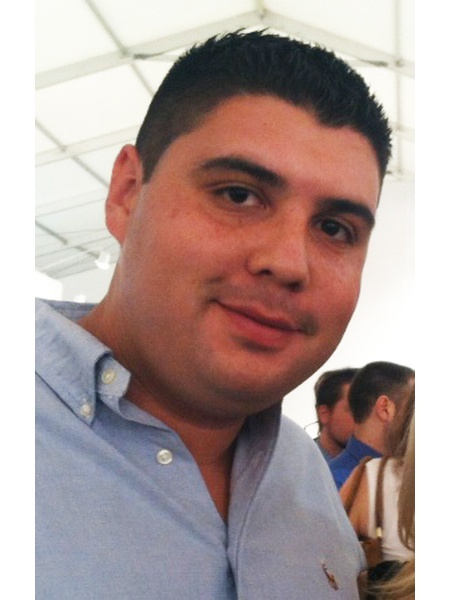 Renat is a consummate real estate professional, who is dually licensed in both Miami and New York. He has worked extensively with domestic and international clientele, including buyers, sellers, landlords and tenants. 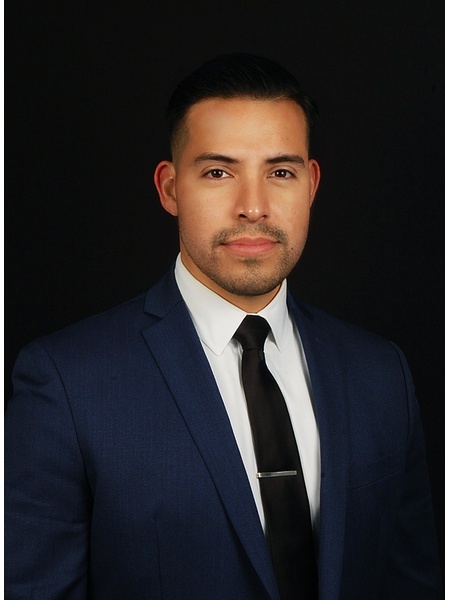 His passion and professionalism are unquestioned as he always works in a swift and efficient manner when assisting his clients in their real estate endeavors. 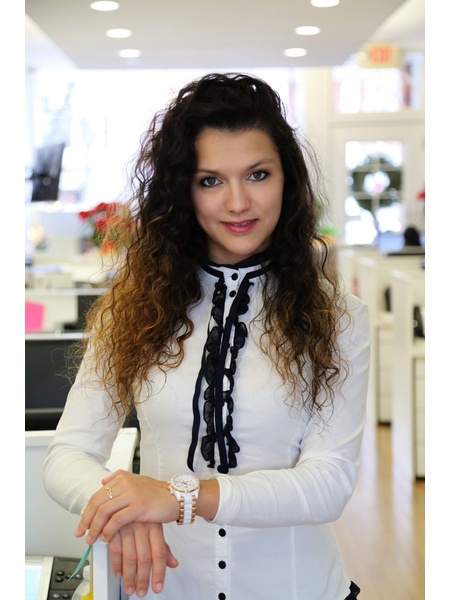 Born and raised in Moscow, Russia, Renat graduated from the State Finance University with a Bachelor’s Degree in Finance. From there, He went started a successful career in banking, in which, he worked for the internationally recognized Citigroup in the private banking division. In 2007, Renat moved to Miami, where he discovered that his true passion was in real estate. He switched gears and entered into the real estate world, where he thrived by combining his knowledge of the financial world with an in-depth understanding of the real estate’s inventory and ever-evolving market. 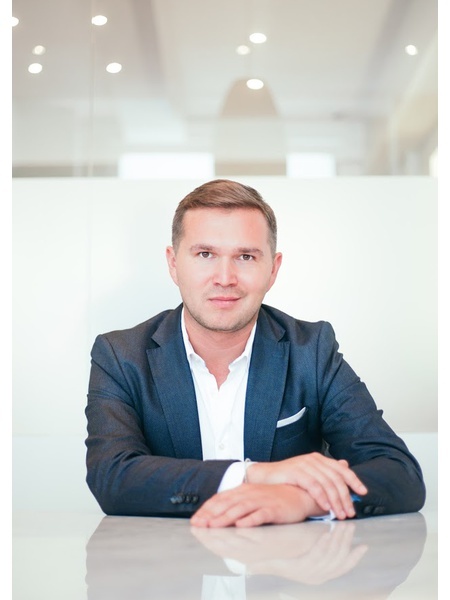 Renat takes an innovative approach in his business model and uses it to his advantage in both the commercial and residential sectors of the real estate market. In his spare time, Renat enjoys traveling, movies, exploring the city for new upcoming hotspots, running in Central Park, and spending time with his friends and colleagues. Renat’s knowledge of market trends and his unparalleled professionalism breeds success when it comes to finding his clients the perfect home. There’s a difference between a real estate agent who sells and a real estate agent who sells and cares. Kenny is not a person who reschedule too often, and his tenure in NYC has allowed him to know enough about the market and neighborhoods and are not willing to earn your business. Good agents like Kenny will follow up promptly, offers suggestions, help you through the process and understand your specific needs. He has a lot of respect and passion for everything he does, that allows him to strive his best every day to achieve his goals as well as his clients’. He is a teacher and a negotiator. Kenny is an agent who is willing to be a resource and a teacher thought out the process. He will work with inspectors, lenders, escrow officers, and other professionals and perform any negotiations if necessary always for the benefit of his clients. His tenure as a banker understands the importance of relationship building and retention. He will use his expertise, and will be able to help you navigate through the host of problems that often occur within a real estate transaction. As a renter or buyer, you should always be questioning and learning. Friends and post clients of Kenny would describe him as a great communicator having made them feel very comfortable during stressful times and always letting them know what was going on with the deal. Not to be confused with pushiness, perseverance is about follow-up and bringing something new to clients. Kenny is the epitome of perseverance as he is one to create lifelong relationships, he goes above and beyond to make his clients feel valued by researching, communicating, and adjusting to bring them the best options. Integrity is what clients observe, not what you tell them. Kenny displays a high level of integrity in every transaction with not only clients, but with his colleagues, friends and family. Kenny’s unquestioned integrity of character will make him stand out from the crowd..
Knowing that approximately 72% of buyers in Manhattan are from out of state and out of the country (37% not living in New York). Nest Seekers International has the ability to market globally through our 1,000 plus affiliates worldwide. Nest Seekers is featured on Million Dollar Listing New York in over 351 Countries. And thanks to Nest Seekers personal PR team, your property can be featured in different magazines, news and TV shows. Kenny is proud to be part of the Mancilla team because of the team’s great success. His team has been featured on Forbes, New York Post, Real Deal Miami and Real Deal New York only in 2018 in addition to other article over the years. Noë Brown epitomizes integrity, positive energy, hard work, and creative service in every detail of your real estate transaction. 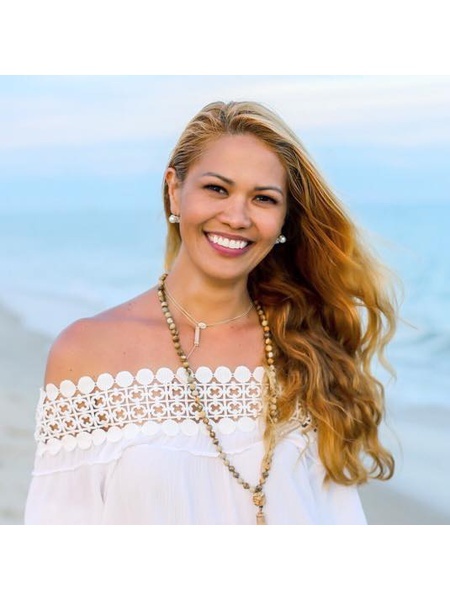 Noë grew up in the islands of French Polynesia, completed three Master's degrees in Counseling Psychology, Holistic Psychology, and Business Marketing in California and Massachussetts. She moved to the Hamptons from Maui, Hawaii, where she started learning about real estate and working closely with agents leading their marketing platforms. She is passionate about finding buyers their perfect luxury nests, sellers their best profit, and investors the most beneficial value on their returns. Noë loves the outdoors, especially hiking and stand-up paddle boarding. She also enjoys traveling and learning about other cultures. And nothing gives her more joy than what she does in real estate. She uses her experience and foresight to proactively address every aspect of transaction to help prevent any problem. Her loyalty is to her clients and her clients only. Colombian made, born and raised. Currently living in New York City. Greicy grew up in rural Colombia surrounded by nature and a big family before she decided it was time to experience the American Dream, traveling overseas to NYC 5 years ago. Her passion for Real Estate began when she had the opportunity to purchase her first apartment back in Colombia. She obtained her real estate license, and began to focus more on the investing side of the real estate industry. Soon, Greicy began to help her family, friends and colleagues also invest in rental properties in her native town. Greicy brought her passion and deep appreciation for the real estate industry to NYC's overall diversity. She have developed skills and built relationships, but more than anything and have demonstrated to herself the extent to which passions meet my actions. Her personal mission to make a positive difference in media and real estate and to inspire economically-challenged people to learn how to invest to create a better future. Greicy will be there from the beginning to the end of the process and will happily help you open the door to your new home. 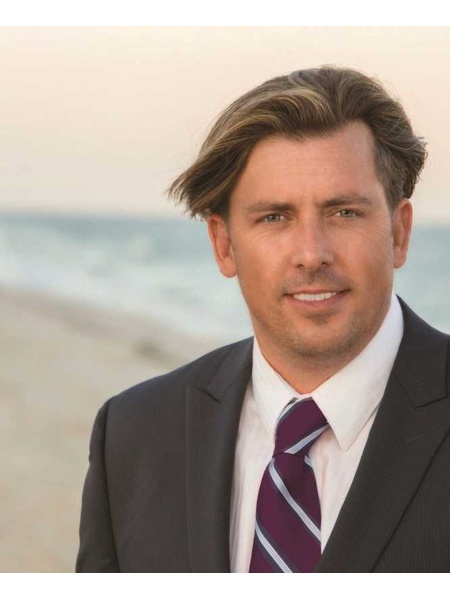 Robert began his career in the Hamptons' residential Luxury real estate market many years ago, developing a comprehensive knowledge of the local luxury markets both east and west of the canal while specializing in luxurious waterfront properties. 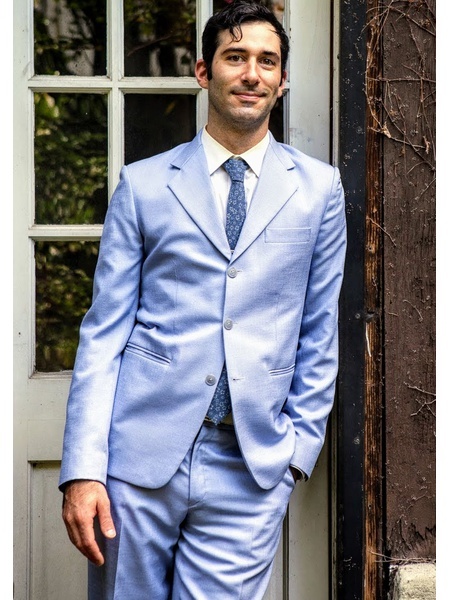 Born and raised on the East End and having spent all his childhood in the Hamptons has allowed Robert to truly understand the unique lifestyle differences the Hamptons and the North Fork has to offer . This first hand expierience and knowledge has allowed Robert to serve all of his clients at the highest level . His love of real estate was their early on, learning the family business of developing and selling high end luxury real estate. Subsequently, Robert would later add commercial real estate and expertise to his skill set and personal portfolio, by developing and selling both high end residential and commercial property on both the North and South Forks. This allowed Robert to build a very large and diverse clientele base quickly. 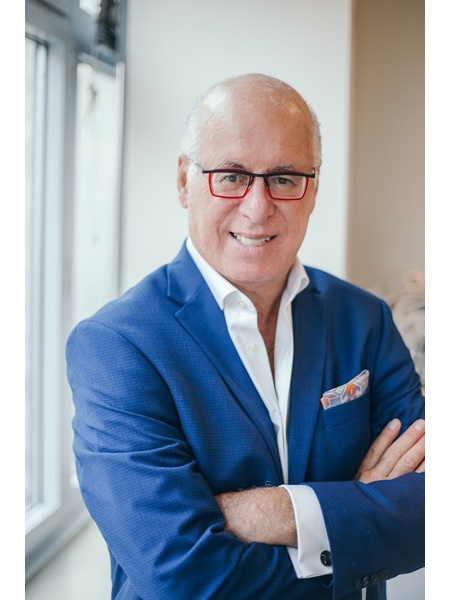 This rapid growth and success soon led Robert to form the RC Real Estate Group , which is the #1 Team In the Hamptons, the RC Real Estate Group at Nest Seekers International . Robert and his team , with their office headquarters based in Sag Harbor are a highly skilled team of strong , dedicated, disciplined and well expierienced real estate agents , who are extremely passionate about serving their clients at the highest level. For Robert and his team , it is a simple knowing that it is always about putting their clients needs first no matter what the situation. Robert is passionate, dedicated and extremely focused on all of his clients needs. He is well known for being a very tough but fair negotiator, and for his extreme attention to details on each and every transaction from the start all the way through to closing. Whether you are buying or selling Robert is always committed to getting his clients the best deal . His hardwork, and his unparalled dedication and passion for his clients along with his out of the box thinking has earned Robert the 2018 Master Marketer of the Year Award at the annual Privet Hedge Awards in Southampton. Robert and his team service all areas of the East End, specializing in luxurious waterfront properties . Whether you are looking from Center Moriches to Montauk on the South Fork or you are looking from Wading River to Orient Point on the North Fork , Robert and his team have you covered and always deliver the best for their clients! Robert , a dedicated father and family man , loves racing cars , playing tennis, sailing and just loves spending his downtime relaxing on the water with his family. 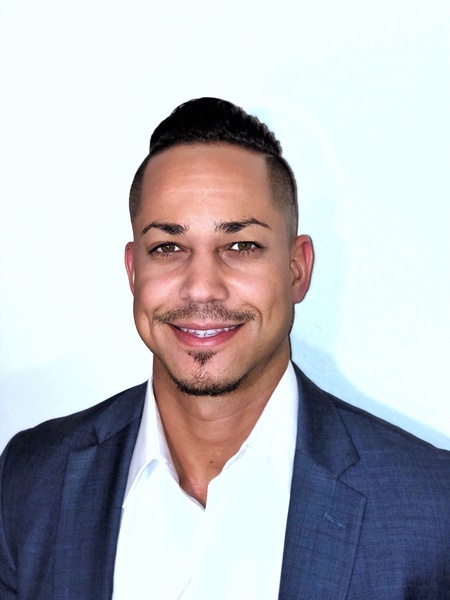 Roberto Cardona is a real estate agent in Central Florida. Cardona’s real estate expertise, negotiation skills and multicultural influence allows him to excel as one of the best brokers in Florida. Roberto has focused in Central Florida for over 7 years. His business targets High-End Real Estate, and specializes in facilitating real estate deals to high net-worth individuals. 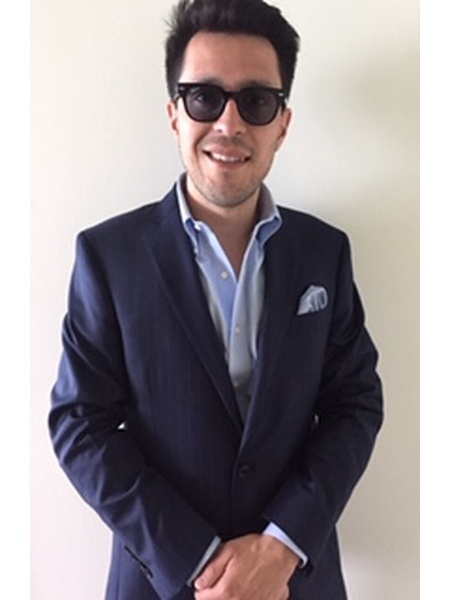 Born in Jersey City, New Jersey, Roberto has lived all over the US, Europe and South America; he is fluent in English and Spanish. 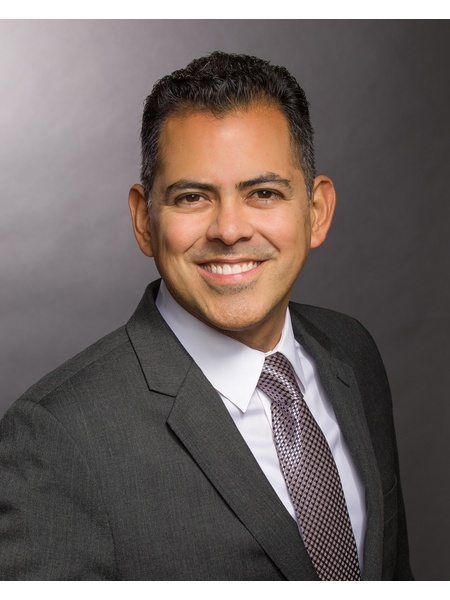 As a military veteran, Roberto Cardona decisiveness, initiative, consistency and determination are just a few traits acquired in his military career that translate and apply so well to real estate and help him conquer any challenge. 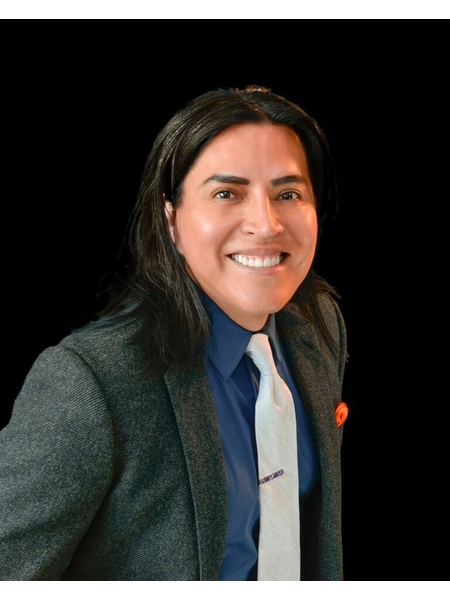 Roberto’s passion for Music has allowed him to mingle with celebrities and the entertainment world, delivering all his clients with the highest levels of service and representation. Roberto has joined Nest Seekers and brings his skills, expertise and Multi-Cultural Experience to this family and expand it worldwide. He graduated from the University of Phoenix with a Bachelors Degree of Science in Business and a Master in Marketing. Kevin Cargon born in Brooklyn, raised in Queens and residing in Manhattan has a unique admiration and understanding of New York. 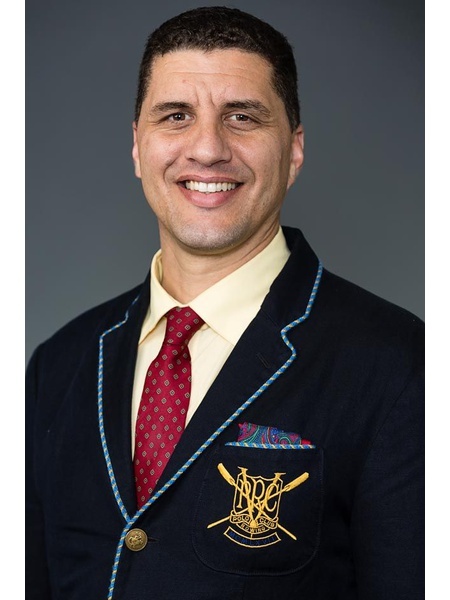 He began his competitive streak by playing professional soccer before transitioning to St. Johns University where he studied business management and mathematics. Kevin proceeded to work in the fast paced, upscale environment of luxury real estate. Kevin works in every aspect of the industry representing luxury rentals, sellers, buyers, and investors in both the residential and commercial market. Kevin’s first sale only two months in the business was sold for over $4 million dollars; breaking a Harlem record (previously held for Neil Patrick Harrison’s Harlem townhouse) and was done in only three weeks’ time. Kevin Cargon is a frontrunner in real estate with a reputation of tenaciously protecting his clients’ interest. Savvy negotiations with uncompromising integrity and ethics are the basis of Kevin’s success. Kevin leads a team of experts that work endlessly for the satisfaction of their clients. La Cultura de Melvin es desde la isla caribeña bella de Puerto Rico y se crió en Queens. Ha vivido en Manhattan durante los últimos veinte años, con experiencia en todas las áreas de Manhattan, Queens, Brooklyn y Bronx, así como los mercados inmobiliarios internacionales. Ha comprado, vendido y alquilan propiedades residenciales y comerciales en los distritos de Nueva York. Melvin tiene un fondo diverso después de haber trabajado en el campo del Sector de Finanzas y banca de inversión desde hace quince años. Además de bienes raíces, se ha especializado como un corredor de hipotecas en los sectores residenciales y comerciales. Mel en el conocimiento de profundidad junto con su experiencia hará que el proceso transparente y emocionante para usted. Así que si va a comprar, vender o alquilar su casa, Condo, co-op o espacio comercial Melvin estará atento a sus necesidades y a través de su profesionalismo y versatilidad garantizará que su negocio cierra con éxito. Dempzil Chavian is a Real Estate Salesperson in New York, New York. At Nest Seekers International he has been instrumental in the design and development of the company’s new outpost in Miami, Florida, slated to open in the Spring of 2019. While he is resident of Manhattan’s Upper East Side, Dempzil frequently travels to Miami, where he grew up, for work and to visit his family. He graduated with a Bachelor in Fine Arts in the Spring of 2018 from the Cooper Union School for the Advancement of Science and Art in New York City. The multi-disciplinary curriculum at his Alma Matter allowed him to study various areas of specialization in Art, Architecture, and Engineering. While a student he worked in the Library's Archives, where he utilized his attention to detail and love for systems of organization to develop different projects, and publications. The skills he developed during his education, which include performing meticulous research on wide-spread topics, translates well to his career in real estate. His ability to assess global market data provide his multi-national investor and developer clients the trust and security to follow-through on deals with confidence. 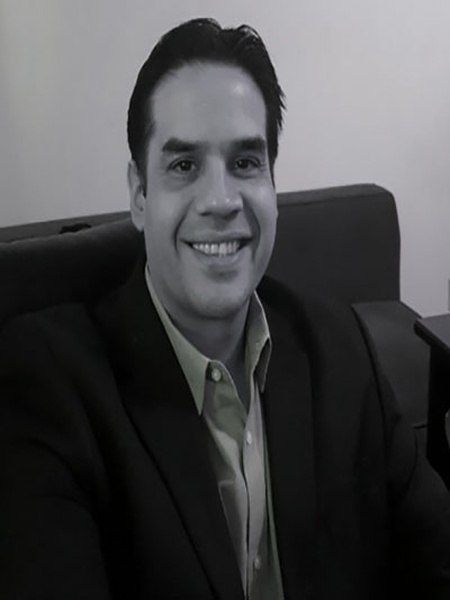 He is able to engage and interact with international clients as he is fluent in English, Spanish, and some French. 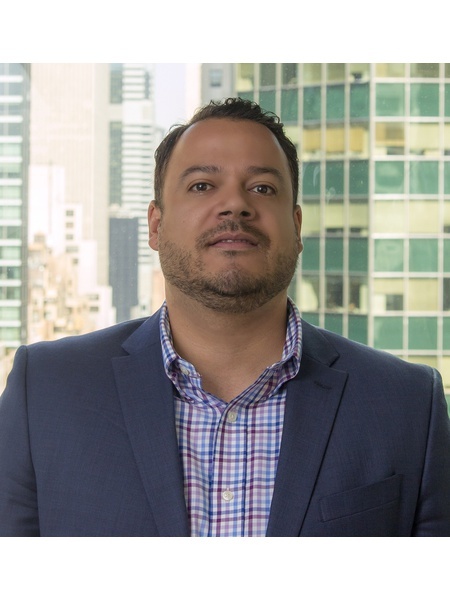 In addition to being a member of the Real Estate Board of New York, Dempsey belongs the Mansilla Team, which comes with over 15 years of residential and commercial real estate experience in South Florida, New York City, and Los Angeles. A few of the developers we are currently working with include: Swire Properties, Marketing Group (PMG), Skyland Development, IRVELAND Development Investment Management, The Melo Group, Consultatio Asset Management in Argentina, and The VUE Orlando (Mike Murray). 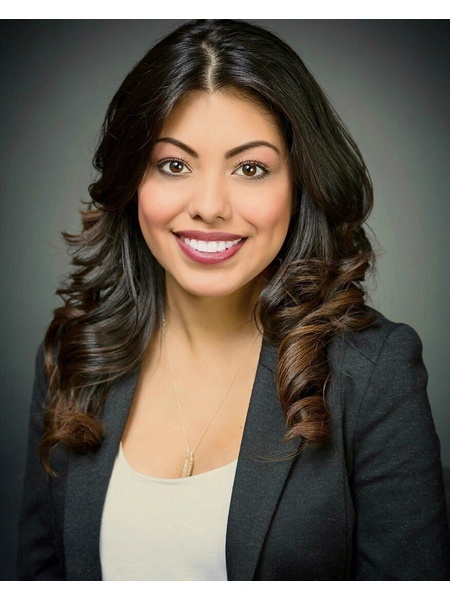 Nicole Contreras is passionate about real estate and welcomes the challenges of buying or selling a home, whether it be in Los Angeles or New York. 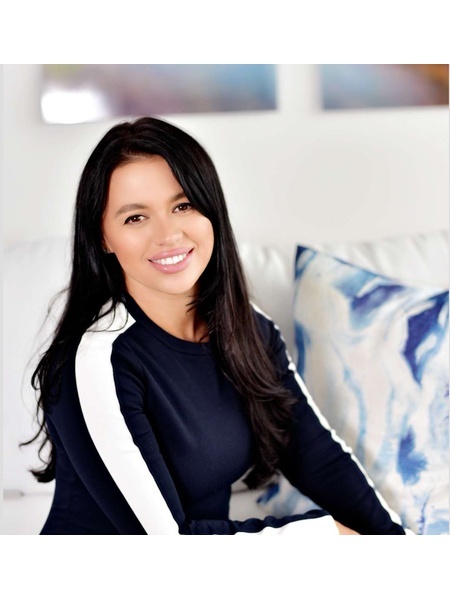 She has worked closely with many developers on Luxury Condominium projects and has vast experience with high-end properties, including single-family homes and high-rise condos. Her background, optimism, and hard work allow her to provide excellent service to buyers and sellers. A consummate perfectionist, Matilde Costales has a drive for creativity and problem solving combined with excellent customer service, research skills and an attitude of “nothing is too hard, it’s never too late and everything is possible.” With an unwavering passion for Real Estate, a love for design and decorating, she surrounds herself with a supportive structure of incredible family, friends and colleagues. Providing a unique experience and service, she assists the seller, buyer, renter and investor, and their goals are her goals. With former backgrounds in sales, Fashion Blog and acting, Matilde has gained invaluable creative tools that help make her stand out in the competitive world of real estate where creativity helps properties shine and sell . An avid traveler around the world from destinations like Africa, Asia, Europe to Australia and New Zealand, traveling has introduced her to design elements and cultures across the globe and she uses that incredible knowledge in everything she does. Born in Havana Cuba herself, she has always had a great appreciation for all Cultures and speaks fluent Spanish. 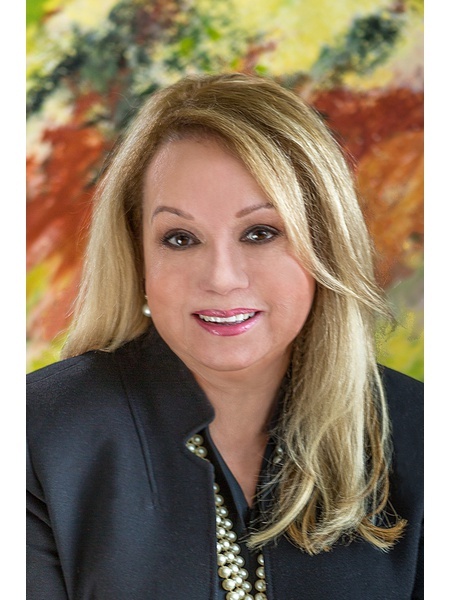 She attended Rutgers University studying Social Science and then in New York City’s Financial district for the Hartford Insurance Company, She began a career in Real Estate for Better Homes and Gardens and Villa ReMax in Bergen county. Later relocating to Miami to be involved in every detail of the building of her home and enjoyed the process so much she also purchased and designed a Chicago condo. But her proudest accomplishment has been in raising two incredible daughters, one a gifted Photographer and editor and the other an accomplished television producer for Bravo, Fox, MTV, and VH-1 who has a home in the Hamptons for over ten years. After traveling the world and having lived as far north as Maine and as far south as Miami, she found the Hamptons to be closest to her heart. Blessed to have been visiting this special place for over ten years now, she decided to finally call it home. Today she immerses herself in the community in various ways embracing her love for the arts as a member of the Spring Fling Committee for the Parrish Art Museum. Calvin Klein has said, ‘the light shines brighter in the Hamptons’ and after traveling the world, Matilde couldn’t agree more. 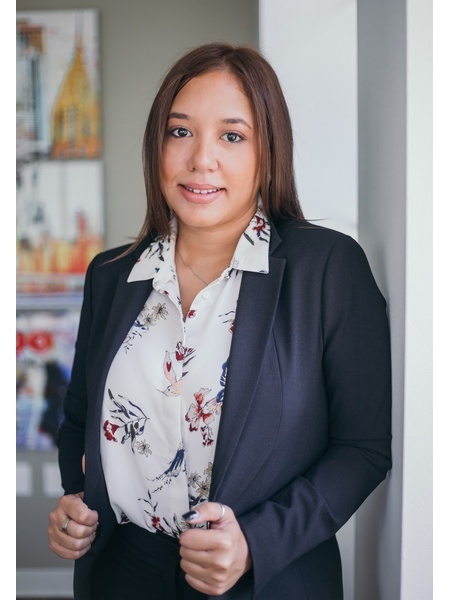 Kemely Diaz is a brilliant, enthusiastic and ambitious licensed Real Estate Adviser. She is an inspired and highly motivated real estate professional determined to successfully help you rent, sell, buy, or develop your nest(s). Her degree in Mass Media Communications has equipped her with expertise in marketing, advertising, public speaking and corporate communications. She continues to apply and enhance these acquired skill sets as a licensed real estate adviser and innovative entrepreneur. In addition, Kemely's gregarious and resourceful attributes has enriched her business development skills and contributed to several successes in project management, business development and sales. Her self-starter mentality, strong work ethic and visionary leadership hallmarks will ensure: thriving endeavors and long-term achievements. Most importantly, Kemely prides herself in being a woman of integrity which continues to cement loyal and continual partnerships. “I fully realize that genuine success will come only through strict application of the ‘Golden Rule’ principles. I will therefore, engage in no transaction which does not benefit alike all who participate in it”. 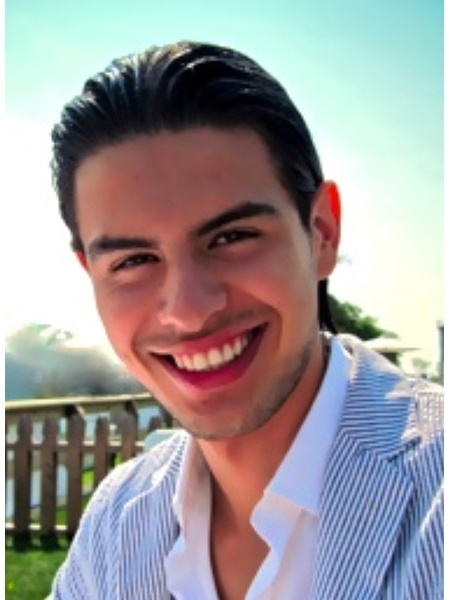 "Team work makes the dream work.."
Nicholas was born and raised in sunny Miami, Florida! He is the youngest son of an Argentine father and Italian mother. Nicholas knows what you’re thinking. “So does Nicholas speak Spanish?” Why, yes he does. “Does he speak Spanish with that Argentine accent that makes people sound like they are singing all the time?” Also yes. 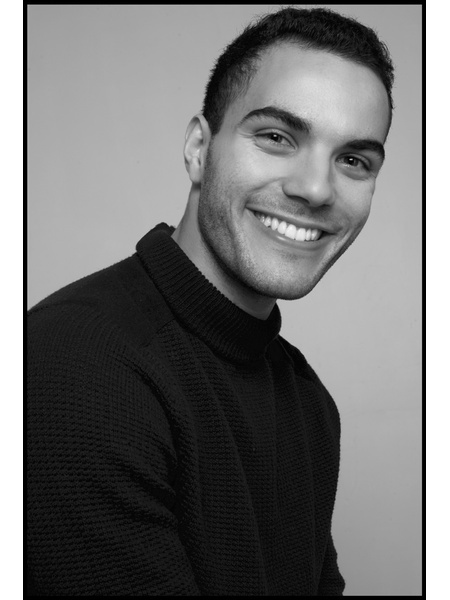 Nicholas moved to New York City in 2011, to pursue a career in musical theatre. 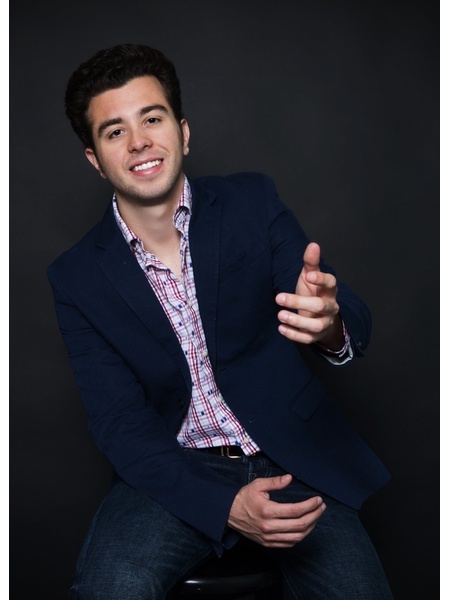 Through his tenacity and hard work, Nicholas has had the prviledge of performing on stages all over the United States. You may have also seen Nicholas on television. He has appeared on USA Network's Burn Notice, NBC's The Blacklist, as well as numerous national commercials. Nicholas is a huge sports fan, his favorite team being the Miami Heat. He is married to Broadway performer Mariand Torres, and is a proud doggy dad to the cutest Chihuahua-Daschund mix in all of New York; Lucy. You can follow his pup on Instagram at @lucy_the_chiweenie. After nearly a decade of performing all around the United States, Nicholas became inspired to find another way to help others. (Enter Real Estate) Real Estate is an integral part of life. Everyone needs a place to live, and Nicholas became passionate about assisting others in their search. Nothing gratifies Nicholas more than seeing a client overwhelmed with joy after having successfully found the place they will call home. 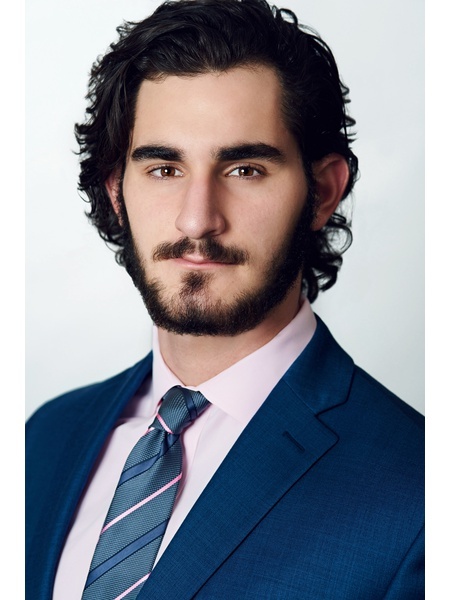 Nicholas’ integrity, commitment to excellence, and unparalleled empathy make him a perfect teammate to assist you in your search for the New York City dream! 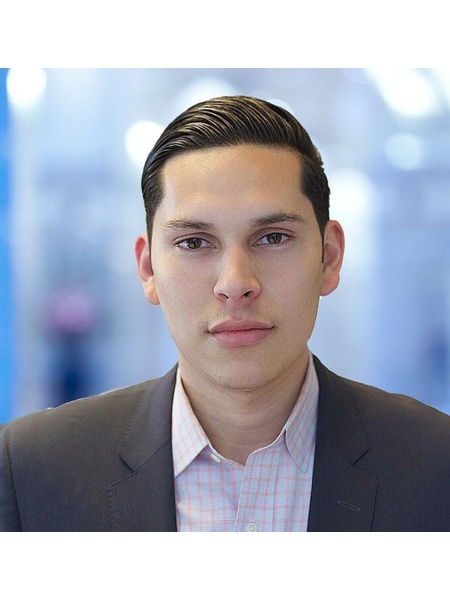 Ricardo has over 5 years of working in residential luxury real estate & 1 year working at a top Ad agency. He attributes his success by his creative ability to effectively promote and sell homes. Education: Graduated from the School of Business at the College of Staten Island with a Bachelor of Science in Marketing. Member of the American Marketing Association & Real Estate Board of New York. Since 1987 Karina Geller has called New York City home. She is committed to her clients, extending to each of them a level of integrity, expertise and responsiveness unique to her personality and character. Engaging in real estate transactions in New York can be challenging; even overwhelming in this complex market. Karina’s clients trust her to bring ease to this multifaceted and time-consuming process. She guides her clients through the real estate process, creating an experience of security and confidence. Her professional loyalty has engendered many long-term business relationships. 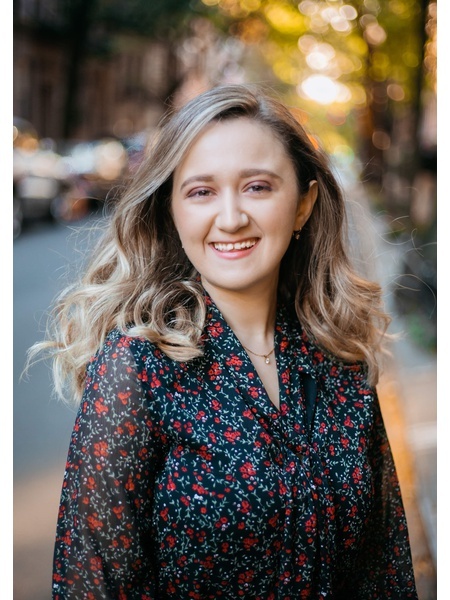 Living and working in Argentina and New York City, Karina has developed a substantial network of professionals she easily draws upon in order to serve her clients’ every need. An interior design graduate of Parsons School of Design and NYSID, Karina takes every opportunity to enjoy and experience the culture and aesthetic every Argentinian and Manhattan neighborhood offers. Karina truly “knows the ins and outs” of the Big Apple, from school districts to restaurants; new developments to classic brownstones. Her energy, excitement and fun-loving nature make her enjoyable and inspiring to be around. Karina has devoted years of her life to working with professionals who value integrity, philanthropy and lasting relationships. She resides on the Upper East Side with her husband and daughter. Karina is also a member of Manos en Accion Argentina and Techo US. Juan Gonzalez is one of the most motivated members of Nest Seekers Beverly Hills. 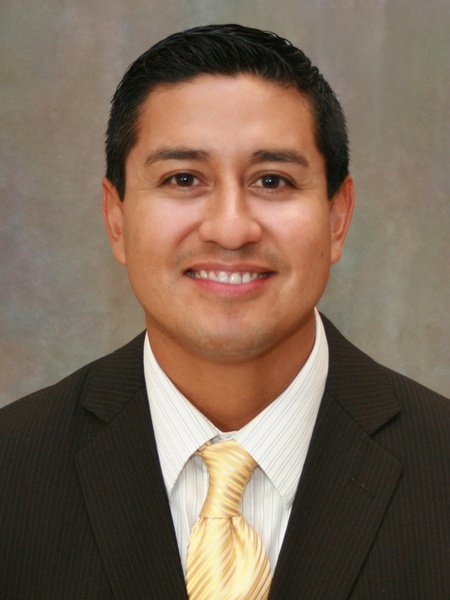 A California native from San Diego, Juan grew up in an entrepreneurial family with his brother and parents. He has been greatly influenced by his uncles who have been in the real estate business for several years and by the top real estate agents in Los Angeles whom he admires greatly. 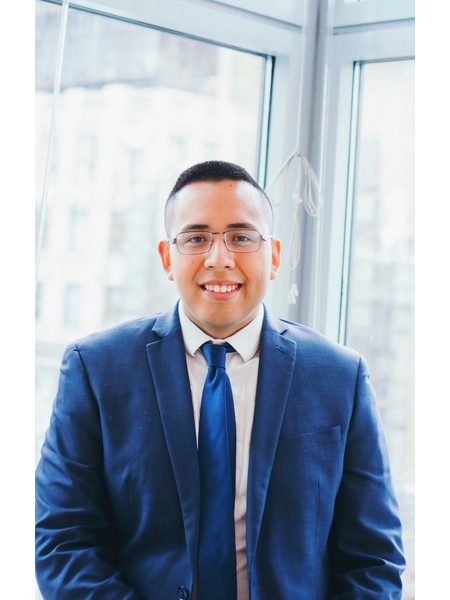 Juan started a real estate investment business with his mother at the age of 18 and simultaneously managed to graduate high school and take his real estate courses to get his real estate license. After graduating high school at 18, he moved to Santa Monica, California to attend college and he got his real estate license at 19 at the end of his first semester. Howard Henzel, Vice Presidente de Nest Seekers International, es un neoyorquino nativo y el ha personalmente comprado, vendido, y rentado muchos apartamentos en Nueva York. No importa si quieres comprar o vender un condominio o un apartamento de cooperativa, buscas un espacio comercial, o un edificio de apartamentos, townhouse/brownstone, hotel u oficina medica, la riqueza de conocimiento de Howard y su experiencia hara el proceso facil y agradable. El ha trabajado con muchas celebridades y atletas profesionales. El conocimiento de Howard del mercado te asegurara que encontraras la propiedad adecuada por el precio correcto, como el ha hecho con sus clientes en el pasado. propiedades comerciales a nivel internacional y propiedades residenciales tambien a nivel internacional en Francia, Inglaterra, Las Islas Caimanes, Brasil, Dinamarca, Mejico, y mucos otros paises. El ha desarrollado una relacion con propietarios, developers (desarrolladores) e inversionistas alrededor del mundo y es considerado un especialista de propiedades internacionales. En el 2010 Howard fue presentado en European T.V. (television Europea), presentando sus propiedades de lujo en Nueva York. El ha asistido a companias de produccion y de television. temporarias para pacientes cardiacos y sus cuidadores mientras ellos estan recibiendo the Javick Heart Replacement (el reemplazo de corazon Javick). El apoya a los refugios y las organizaciones de derechos de los animales. Su equipo habla tu lenguaje: Frances, Ruso, Aleman, Espanol, Hebreo, Chino, Tagalog, Bulgaro, Croata, Serbio, y Bosnio. Howard tiene cuatro edificios exclusivos para rentar en Greenwich Village/West Village. Johnny Mansilla has represented local, multinational and high profile clients of residential and commercial spaces in a wide array of real estate transactions. Some including; Basketball Legend Michael Jordan's son, Marcus Jordan; the Charlotte Hornets Center, Dwight Howard; the Philadelphia 76ers Shooting Guard, JJ Redick; and Grammy award winning artist, Chris Brown while Team Member Chad Allen Jackson has worked with architects, high profile clients and as a Television SAG- AFTRA Member himself has been a great addition to the team providing hard work and dedication. Chad graduated from the University of Alabama with a degree in Vocal Performance and Psychology and Johnny graduated from the University of Simon Bolivar with a Bachelors degree in Computer Science. Ranked Top Sale of the week in New York City by The Real Deal Magazine, April 20, 2012. Ranked Top Sale of the Month in New York City by The Real Deal Magazine, May 2012. Wendy Jackson, Licensed Associate Real Estate Broker at Nest Seekers with over 16 years of experience in the Manhattan residential real estate market, and sales of over $450 million dollars in New York City and international real estate. She is consistently ranked within the top 10 producers at Nest Seekers International. 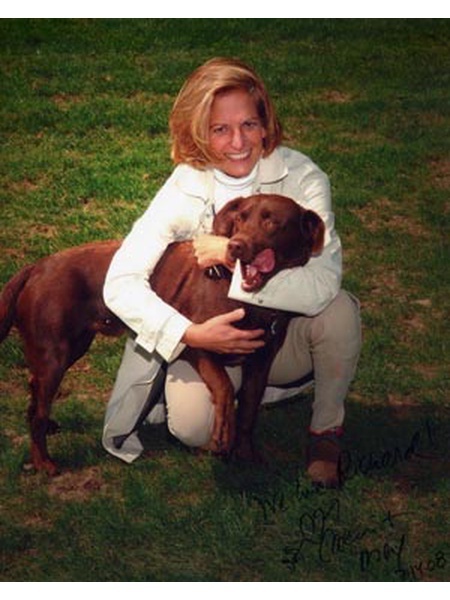 With an extensive background in the Tourism Industry, prior to joining Nest Seekers, she was president/owner of a travel consulting company, becoming an international consultant to high end leading corporations, embassies, consulates, the United Nations and individuals who utilized her ability and expertise in the tourism industry for over 20 years. Wendy’s work is distinguished by a commitment to best serve the interests of her clients, which has earned her a steady stream of repeat and referral business. Wendy is always trying to stay ahead of the technology curve, consistently exploring innovative and effective ways to better serve her clients. She is not only working on improving the real estate experience of buying and selling properties, she is committed to changing real estate from selling properties to selling a LIFESTYLE. A long time resident of Manhattan’s Upper East Side, and Madrid Wendy prides herself on her knowledge of the marketplace, her negotiating skills, her meticulous research, and innovative marketing techniques. Whether it is in New York, or with her international clients from China, Europe, Pakistan, South America, or anywhere in between, she is happy to help with your real estate needs. The Jackson-Lieblein team consists of top Licensed Real Estate professionals in New York ,(and elsewhere), and a support staff that includes a graphic artist, as well as a privately hired public relations agency devoted to the team. The brokers are versed in every Manhattan and international neighborhood as well as property type; they work cohesively--complementing one another’s strengths and highlighting their individual areas of expertise. In addition to doing business overseas, Wendy is a frequent visitor of Beverly Hill, London, Madrid, Marbella, Soto Grande, Miami, Dominican Republic and The Hamptons, and in her spare time she enjoys traveling, visiting museums, and art galleries. She is interested in art history, reading, cooking, swimming, walking, ballet, opera, and the theater. Wendy speaks English and Spanish fluently, and has an extensive knowledge of Italian and French. Whether in the market to SELL, BUY, or hire an ONSITE SALES Marketing Team you need: The JACKSON - LIEBLEIN TEAM--changing real estate from selling properties to selling a LIFESTYLE. With over 16 years’ experience in the luxury hospitality industry, James has taken his passion for luxury to a whole new level: The Real Estate Market. 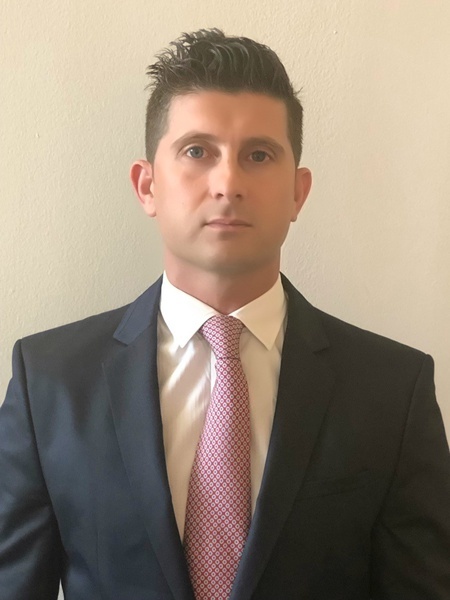 The New Jersey Native has set his eyes on the tristate area where working with the prestigious Nestseekers International, James is specializing in Residential and commercial real-estate. With clients from the global financial market, the Art world and heads of industry, James plans to continue expending his already impressive clientele. Working with Nestseekers, James plans to cater to the entire spectrum of the ever growing market with precision, perseverance, and a positive attitude. With a presence in New York City, The Hampton's, New Jersey, Los Angeles, Miami and London. 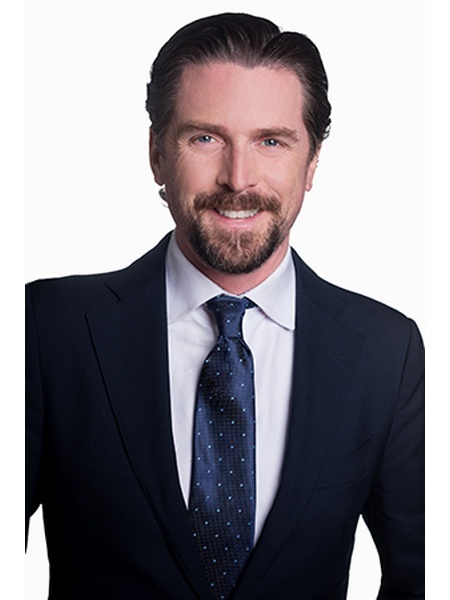 Kevin Keating is an accomplished real estate agent within the New York Market for nearly a decade. Now with Nest Seekers, Kevin combines his years of experience at the high-end Boutique firm Loft Industrie with the reach and strength of Nest Seekers. At Nest Seekers Kevin continues to foster the boutique experience with an attention to detail that is unsurpassed. A true New Yorker, Kevin knows the people, the neighborhoods and the history of Manhattan. In his previous work, Kevin excelled in the world of Investment Banking and Asset Management strategic advertising. Having worked within Wall Street’s top firms including Morgan Stanley, JP Morgan and Bank of New York Mellon; Kevin offers his clients a complex understanding of today’s financial and real estate worlds, developing a seamless strategic vision to sell and purchase Real Estate. Designing solutions that are both innovative and strategic, Kevin delivers full-service guidance including market analysis, pricing, negotiation, lawyer selection, and mortgage and board approval process. When a client works with Kevin, they experience a professional who approaches the process from every imaginable angle. A graduate of Oswego University, Kevin is also an award winning film producer and film actor, having appeared in motion pictures and television. Kevin is also a long standing member of Screen Actors Guild and Actors Equity. When Kevin is away from business he spends his time writing, acting and enjoying life with his beautiful wife and their two children. Omar is a New Yorker at heart. Omar cherishes the unlimited experiences of the metropolis, and the unrivaled opportunity the city presents. Omar lives, breathes, and dreams New York. A great listener Omar will take into account every one of your preferences and needs and work efficiently in accomplishing the task at hand. Omar possesses a deep love and appreciation for all that is New York City, from the Iconic buildings, parks,architecture, and the endless supply of world culture whether it be arts, music, performances and people. 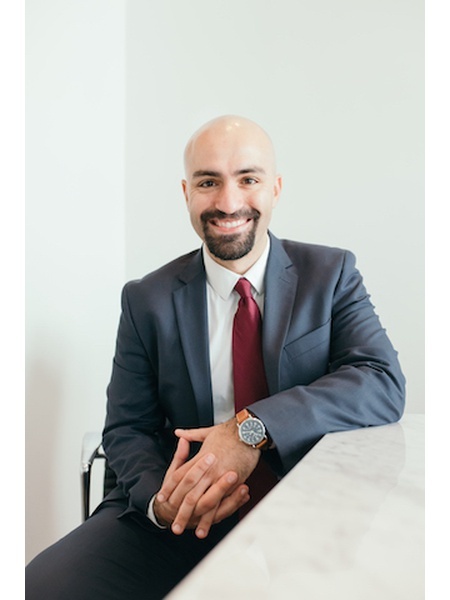 His sincere love of the city; its neighborhoods and people, allow Omar to assist others in finding their ideal home, placing his clients best interest ahead of his own whether they are longtime, new, or aspiring New Yorkers. 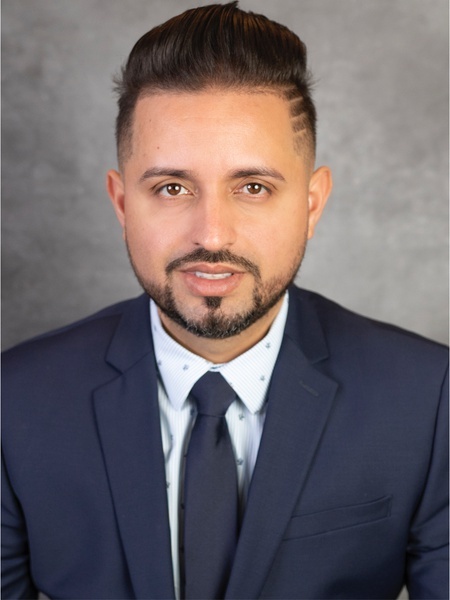 That passion and never-ending curiosity allows Omar to understand the social and cultural fabric that comprises the quiltwork of our great city, combined with an intuitive understanding of others and their needs makes Omar a natural fit for helping others achieve their housing goals. 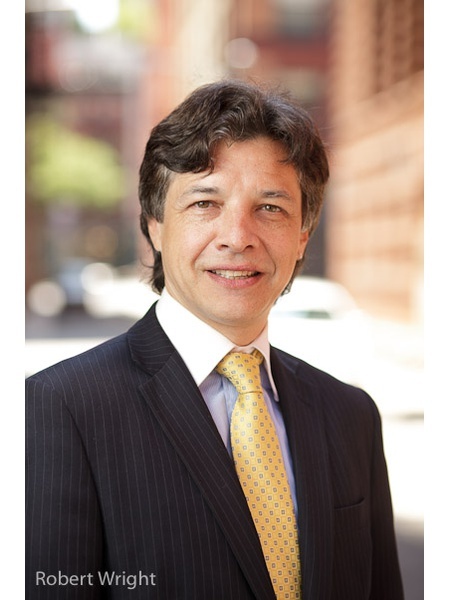 Nelson Lacruz is a real estate professional with several years of experience in the New York City residential market. 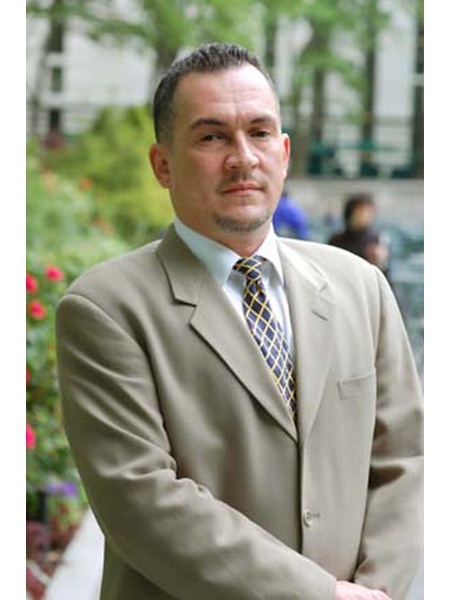 He specializes in the purchase, sale and rental of Manhattan condominiums and cooperative apartments. Originally from South America, Nelson is fluent in both Spanish and English, and has been characterized as a man with passion, creativity, adaptability, warmth, sincerity and optimism. Working in New York has always been Nelson’s passion, as he was drawn to the unique energy and multiculturalism that make Manhattan a vibrant and international city. Nelson has developed strong working relationships with clients from around the world, including foreign investors. This is thanks, in part, to his professional insights into the New York marketplace and his ability to analyze and strategically understand each of his client’s individual needs. Nelson Lacruz es un profesional en bienes raíces con años de experiencia en el mercado residencial de Nueva York. Su especialidad son la compra, venta y alquileres de condominios en Manhattan. Originario de Sur America. Maneja el español y el inglés con fluidez. Tiene un título universitario en Administración de Empresas y su trabajo es garantía de altos estándares y ética profesional. Sabe afrontar cada reto con respeto, honestidad, enfoque, disciplina, perseverancia y paciencia. Clientes de todo el mundo disfrutan trabajar con Nelson por su capacidad para analizar y comprender estratégicamente sus necesidades. Vivir en una ciudad tan diversa y multicultural como Nueva York le ha permitido desarrollar sensibilidad y empatía con inversionistas extranjeros de variados perfiles. Con más de 20 años de experiencia en ventas y consultoría, Nelson entiende el valor de las relaciones humanas y la importancia de escuchar y comunicarse claramente con la gente construyendo un vínculo de genuina cordialidad y confianza. Sus raíces latinas imprimen a su labor pasión, creatividad, adaptabilidad y calidez. Benjamin Lieblein, Licensed Real Estate Salesperson at Nest Seekers has been amongst the top producers within the company for nearly a decade, recently surpassing $220 million dollars worth of sales. The co-founder and co-owner of a sports management company, Ben has developed a reputation for brokering large deals in both industries. Ben's service, honesty and loyalty are rivaled by none. His ability to understand his clients is uncanny and his ability to understand the market is unique. His understanding of the market has lead to unbelievably quick/smooth sales. 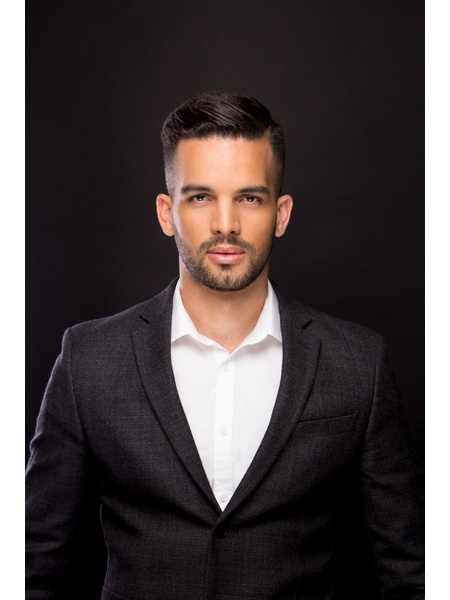 His charismatic, outgoing personality combines with his focused, bottom-line business sense to make every deal a most enjoyable, beneficial experience. Extremely dedicated to streamlining every transaction, he also strives to form lasting, trusting relationships with customers, as he considers his role in their lives a very personal and important one. Every Client is important to Ben. No matter how big or small, whether buying selling or renting he understands Real Estate is most likely the biggest and most important investment in the average persons life and realizes that he is being charged with no small task by his clients. Ben, originally from New York Cities Upper East Side, went to college in Miami before returning to his hometown where he began selling real estate. He transferred his skills to the Manhattan marketplace and has made an impressive mark as a top-producing agent. The key to Ben’s success aside from hard work and strong bond with customers is his belief in providing as much information to buyers and sellers as possible, to aid in the difficult decisions they tend to encounter throughout the real estate process. The Jackson-Lieblein team consists of top licensed real estate professionals in New York (and elsewhere), and a support staff that includes a graphic artist, as well as a privately hired public relations agency devoted to the team. The brokers are versed in every Manhattan and international neighborhood as well as property type; they work cohesively--complementing one another’s strengths and highlighting their individual areas of expertise. When not working in real estate Ben is busy managing professional boxers and frequents ESPN, HBO, Showime, PPV & Univision where he is often interviewed and seen alongside his boxers. Whether in the market to SELL, BUY, or hire an ONSITE SALES Marketing Team you need…. The JACKSON - LIEBLEIN TEAM. Si usted está en el mercado en la ciudad de Nueva York en búsqueda de una propiedad, ya sea un lujoso apartamento de descanso o un edificio de apartamentos, Sebastian Lopera es un recurso confiable para asegurar sus intereses. Como cliente de Sebastian, usted puede estar seguro de que recibirá los mejores beneficios de un verdadero profesional de Bienes Raíces, ya que él ofrece un valioso conocimiento para facilitar sus intereses y satisfacer sus necesidades. Sebastian nació en Colombia y fue criado en la costa dorada del norte de Long Island en el condado de Nassau, creciendo entre algunos de los ricos tesoros históricos de Bienes Raíces. Allí comenzó su carera e interés por el sector inmobiliario donde se le presento la oportunidad de trabajar en una oficina local en la cual manejo las ofertas de su clientela en la ciudad de Nueva York. Esta educación le ha ofrecido a Sebastian una comprensión sin precedentes del mercado de rápido ritmo Bienes Raíces de la ciudad de Nueva York, así como en Long Island, y sobre todo el traslado entre los dos. Esta combinación de ubicación, persistencia y rendimiento hará que su proceso de compra o venta sea una experiencia agradable. Ofreciendo opciones de anuncios activos y privados, sus habilidades comprobadas y su enfoque calculado hacen que Sebastián Lopera sea una primera opción para ayudarle a comprar o vender la propiedad de sus sueños. Llame ah Jose Martinez para su consulta. Jose Martinez graduated from Fairleigh Dickinson University where he completed his MBA in Finance. Since 1996, he has helped thousands of people into home ownership. For any of your home related needs, Jose has a proven track record of success. Let him help with your next home purchase or sale. 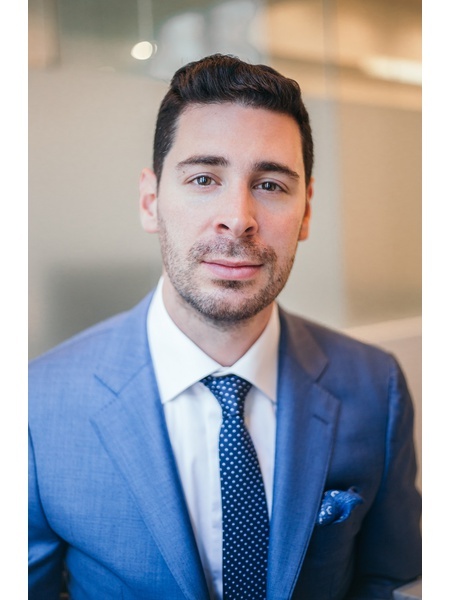 Matias Mazza is a charismatic real estate broker prided on satisfying his clients needs by acknowledging and honoring their various requests. Hailing from Buenos Aires, Argentina, Matias is fluent in both English and Spanish. This allows him to reach a broad spectrum of clientele. When he moved to the United States, he attended high school in the Washington D.C. area, and later moved to New York City to get his undergraduate degree in Business Economics. Halfway through his college career, he realized he had a passion for real estate and sought to obtain his license. Since then, he has successfully closed numerous listings on his own and with the help of his team. Matias is a genuine and honest young professional. He is always excited to meet new clients through real estate, while assisting them on memorable and important milestones in their lives. 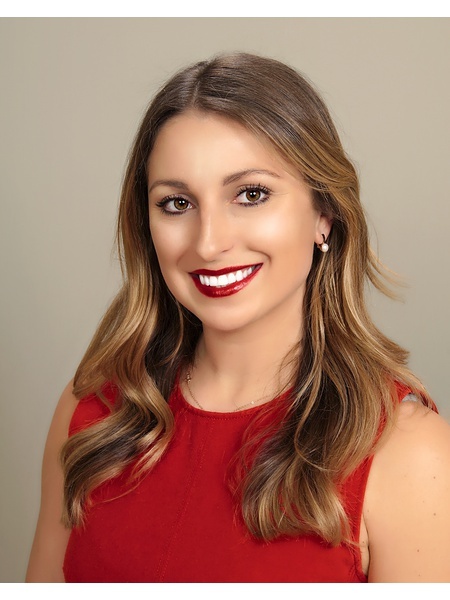 Uber talented with a knack for representing luxury rentals, sellers, buyers and investors, Stephanie Alex Moyano has a vast understanding of both the residential and commercial market. Her brand is based upon her unwavering devotion to help her clients create equity and build wealth. Stephanie Alex was born in Manhattan and raised in various cities, frequently returning to her hometown, Queens, where she now resides. Living in many different regions nourished her passion for traveling, meeting people from all walks of life and appreciating all of the opportunities New York City has given her. She feels honored to unlock The Capital of the World and give each of her clients the key to their dream home. When she isn't out with clients, she enjoys traveling, seeking adventure in nature, and writing music. 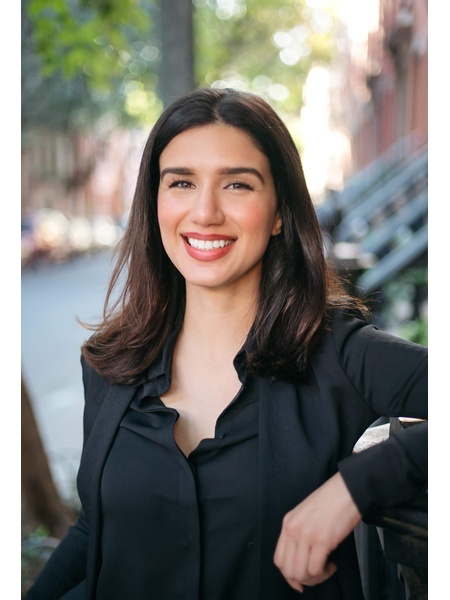 Managing her family’s moving and delivering company in New York City, gave Alex the experience to familiarize herself with the city’s most treasured luxury real estate. She is also the Founder of Teresa’s Plants, a homage to her love of nature, providing homes and businesses with air-purifying tropical foliage. Through all her years of traveling, Alex feels most connected to the energy of New York City, and it is with great joy and excitement that she facilitates the same opportunity for her clients to achieve their real estate goal. 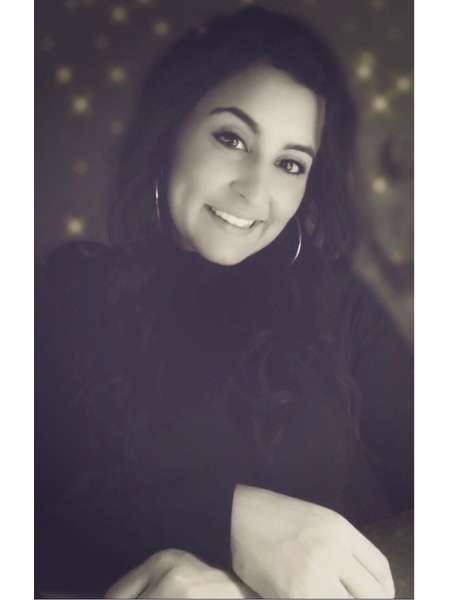 Loyalty and great communication skills along with comittment no else can bring are a few of the talents that Jerveetsa brings to the table when she represents her clients in a Real Estate transaction. Jerveetsa's background and work experience in co-owning her family's construction buissness for a number of years now has enabled her to handle difficult transactions with ease. While running a construction buissiness and attending college to earn her Bachelors of Arts in Political Science in the same period of time, she was always easily accesible and quickly replied to her clients, no matter the situation. With Jervetsa's understanding of the many facets that contribute to Real Estate, from start to finish it allows her to serve her clients from a well rounded knowlegable standpoint. This results in her obtaining only the best for ther clients. Jerveetsa has always been ready willing, and able to take on a challenge! When she's not busy transacting Real Estate deals, she enjoys traveling abroad and learning new languages. Jerveetsa is fluent in Albanian. property, she takes your best interests to heart and puts your goals first and foremost. enthusiasm and professionalism to her own career. Before joining Nestseekers, Michele worked with top developers in miami luxury homes in Miami Beach. 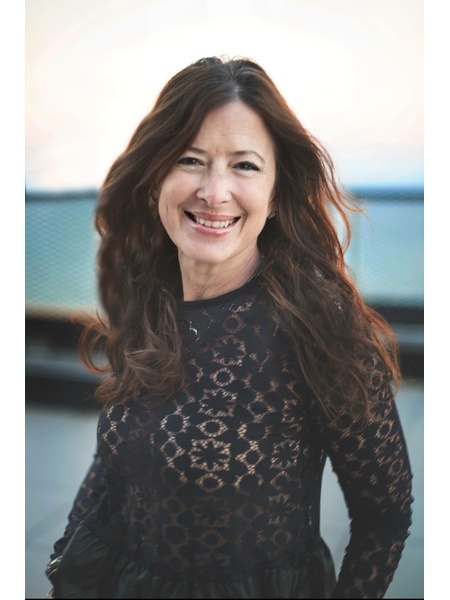 Michele entered the residential arena in Manhattan 15 years ago, she sold and rented high-end properties as a broker in New York City representing a top developer in new construction. among her favorite pastimes, as is traveling the world. In a broker marketplace saturated with style, Asit brings substance. Asit and Parikh Team represent Developers, Sellers, and Buyers seeking top-dollar return in today's current market environment. 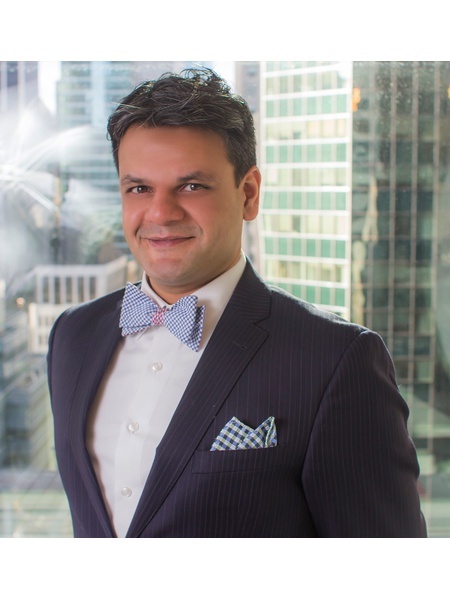 An avid New Yorker for the past 21 years, and Managing Director of an award-winning Engineering/Architecture design & consulting practice in NYC for the past 13, Asit moves through this city and through the real estate sector faster than most brokers today. 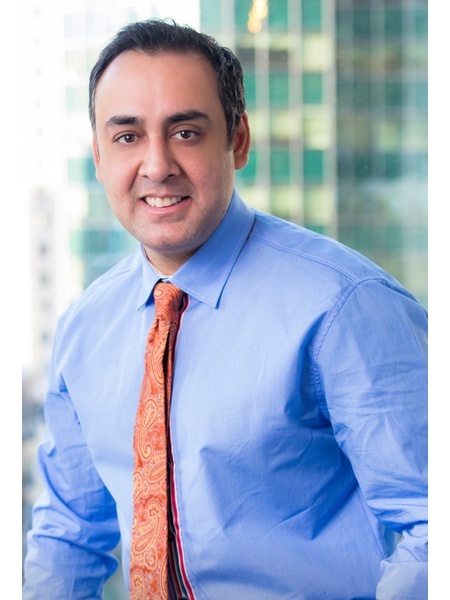 Because Asit knows this city- and the people in it- better than most brokers today. With a unique combined background in Fortune 100 market analysis, brand deployment, and NYC design/build, Asit draws from the perfect skill set for the practice of NY Real Estate sales. Time and again, the powerful professional and personal networks Asit has formed over the past 21 years living in, biking through, and growing with New York City are what gives Asit the capabilities to both obtain and provide superior representation to his clients. For the past ten years, Asit has worked with the Cooper Union Center for Innovation and Energy Reclamation and has participated in some of the most successful geothermal and heat recovery projects around the world. He was a panelist at the 2012 Wall Street Green Summit and twice was invited to the US House of Representatives to testify on combating climate change through the built environment. 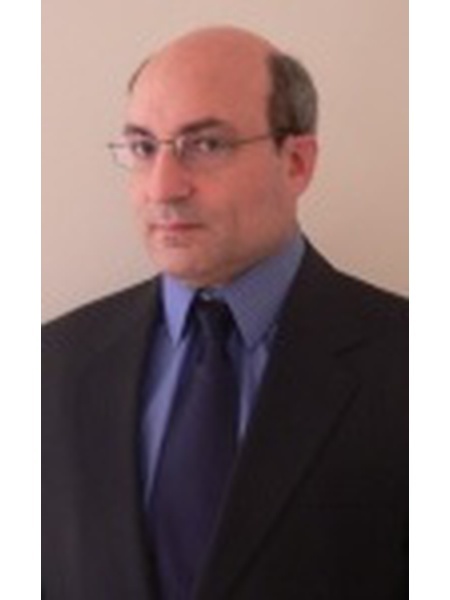 He is a former NYC Zoning and Building Code expert and is a currently registered Filing Representative with the NYC Department of Buildings and member of NY Passive House. Asit is a member of New York Passive House, US Green Building Council, the Charles Street Block Association, and formerly served on the New York City chapter for the AIA Committee for Marketing for over a decade. He lives on the Perry Street waterfront in Manhattan's West Village, and has blissfully for the past six (6) years. Michael is the definition of a hybrid real estate salesperson. As a member of The Soko Team at Nest Seekers, he has worked on everything from high-end residential properties to industrial warehouses. 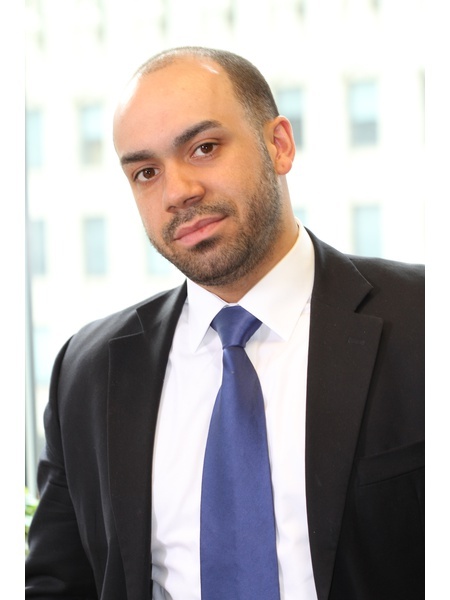 Michael specializes in commercial, multi-family and mixed-use investment sales. When it comes to his clients, Michael treats them like family. Building strong relationships is something that runs in his blood, as his father has been a top sales executive at a Fortune 500 company for many years. 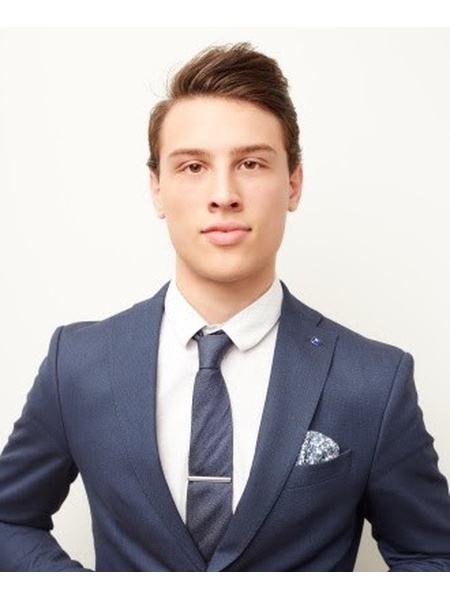 Michael joined Nest Seekers with a background in international business and technology. He has a great deal of real estate experience and knowledge as he was mentored by a well known New York City real estate investor for many years. 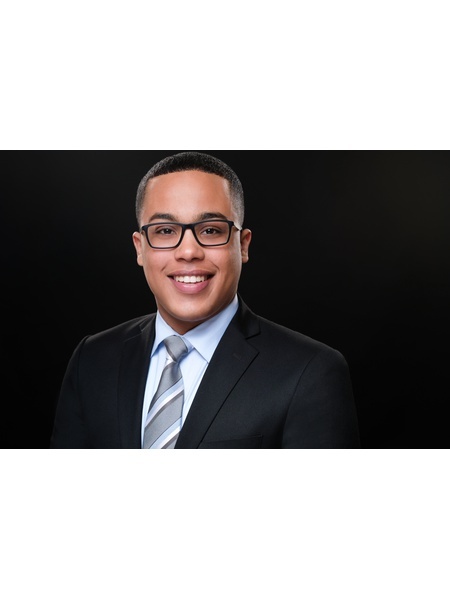 Michael also specializes in transactions involving foreign buyers and sellers due to his international background, extensive travel, and fluency in French and Spanish. Working with Michael is always a pleasure because he is very detail oriented and is no stranger to working around the clock until the deal is done. Even after business is concluded, you can always count on him to provide expert advice. Michael is based out of the Williamsburg, Brooklyn office however he works all throughout New York City and New York State. Some other areas Michael covers are Westchester, Long Island, the Catskills, the Hudson Valley and even New Jersey through our referral network there. When he is not working, Michael enjoys cooking, golfing, sailing, traveling, salsa dancing and going to the opera. He also loves catching up with clients. 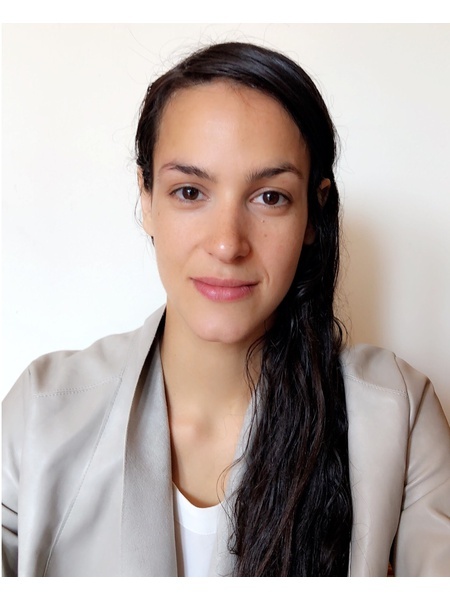 Tania is as a Real Estate Salesperson at the Nest Seekers International’s flagship office in Jersey City, New Jersey. With a 4 year college education in Merchandising and Management , Tania’s B.B.A. Degree brings a major advantage to home owners ready and willing to sell their homes and getting it ready for market. Accompanying her education, Tania brings with her years of work and experience in the field of Home Staging. Tania has successfully staged homes for a number of realestate agents, brokers, home owners, and homestagers in the New York and New Jersey areas. With an eye for visualizing space and it’s potential, her creative approach has proven to be very beneficial when working with her on either side. Tania's invaluable expertise and detail orientated mindset, provides her with the ability to understand the perspective of a home buyer and home seller. Her highly self-motivated work ethic and entrepreneurial spirit has driven her to become who she is today. She is determined to strive for success not only for herself but for that of her clients as well. Tania's core values include honesty, integrity, patience, understanding and most importantly family. Outside of Real Estate and home staging Tania focuses her energy and love on raising her two beautiful little girls. " I believe that there is at least one thing that motivates each person individually for success. My children are my purpose, and because I do not want to fail them, it means I have to push for success making sure I carry my core values along that road with me." 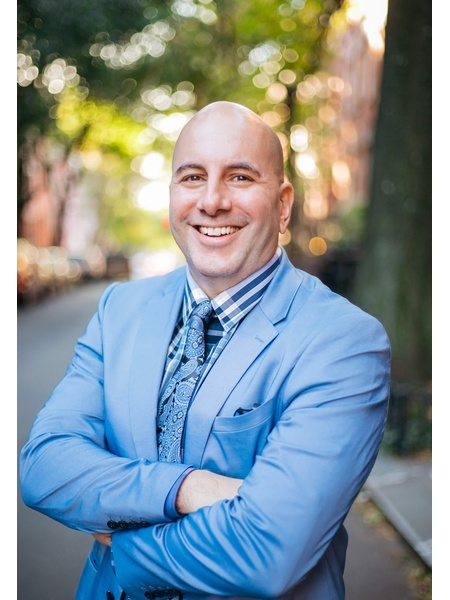 An established New Yorker with a life-long passion for real estate, Eric has now been living in Lenox Hill after more than 20 years’ residency on the Upper West Side. With over twelve years of experience working at Nest Seekers International, Eric is an accomplished Full Service broker and is well versed in all aspects of the business. Be it luxury new construction, the challenging coop process, investment properties, condominiums, high end rentals or retail. He works with investors, sellers and first time buyers and has extensive experience with foreign buyers / investors and sellers. Proficient in Manhattan’s High-End market, he has become a savvy negotiator. Eric is client centric and his aim is to surpass his clients’ expectations. He is discerning and can hone in immediately on his clients’ needs. Mr Poullain is dilligent, efficient and a hard working consummate professional. He stays up to date with market trends and the latest new luxury developments and can advise his clients with confidence, help them navigate the selling, buying or rental process with ease and peace of mind, while keeping them informed every step of the way. Eric is also an expert in senior executive relocation. He has assisted many high profile / high net worth international clients, CEOs, senior executives, hedge fund managers, top-ranking diplomats and dignitaries relocate their families. He prides himself in meeting their high standards with impeccable and personalized service. And they appreciate his diligence and his discretion. Recently, Eric was honored to represent one of Manhattan’s major landlords in the rental of their large trophy apartments in Lenox Hill prime and was instrumental in their portfolio’s financial success. He is currently working with another prominent NYC landlord on the Upper West Side. Born in France, Eric moved to the US at a young age and he is bi-cultural and multi-lingual. He attended several international schools alternately in France and the US. After graduating from the Lycee Francais de New York, he attended Temple University School of Business in Philadelphia. Post college, Eric honed his PR and service skills in the top-end service industry. He worked /managed in New York's most renowned and prestigious venues, regaling celebrities and an elite high profile NY and international clientele. When he can find some free time, Eric enjoys inline skating in Central Park and throughout Manhattan and the boroughs. 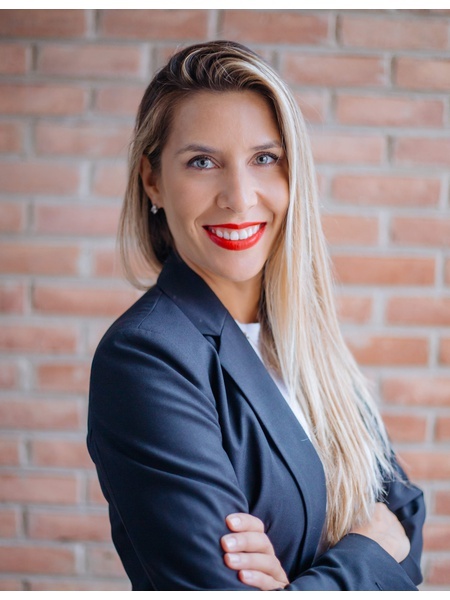 Angela Quintero has an MBA in Business Administration and is a graduate of the Universidad Católica, one of the most recognized Universities in South America. Angela is a specialist in Marketing and Sales, and an expert on Management and Evaluation of projects of Technological Impact. 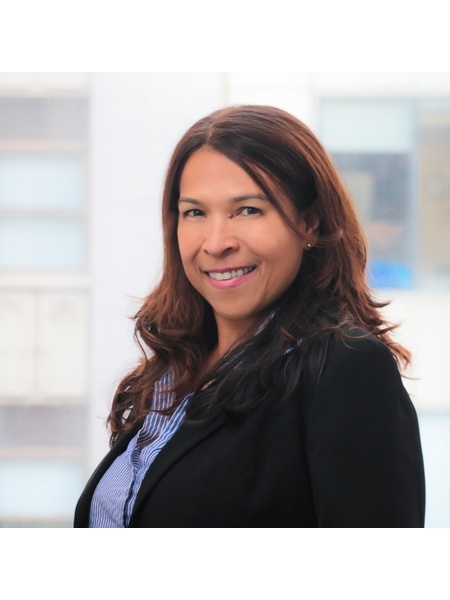 Angela has over 15 years’ experience in business as Executive Director, Finance Director and Human Resources Director in her native country Colombia. Her last five years in Colombia were spent in Academia as a Professor in Business Administration, Entrepreneurship and Leadership, and also a Business Advisor for the Chambers of Commerce. Angela has dedicated her free time to development and growth of the Latino Community thought educational workshops and conferences during the last five years. She is very active as a community volunteer with the East Hampton Health Care Foundation and support programs for Cancer Survivors supported by South Hampton Hospital and Fighting Chance.org, Angela was co-chair in The Latino Advisory Committee of East Hampton Town in 2017, and Educational Director for the East End for Opportunity Inc. She was a Business Columnist in a bilingual local News Paper. As your agent, Angela will be an advocate for you. 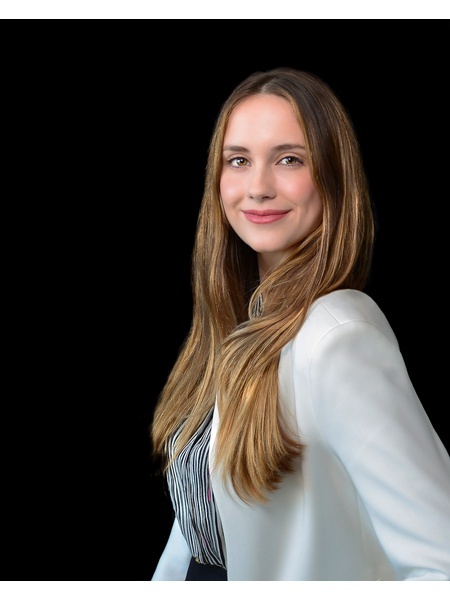 Whether you are buying, selling or renting, she will work determinedly to promote your best interests in helping you receive optimun results in purchasing your property in the Hamptons! Patient, Supportive and Outcome-Focused, I help my clients navigate and master the New York City Real Estate Maze so they can walk away with the home of their dreams. 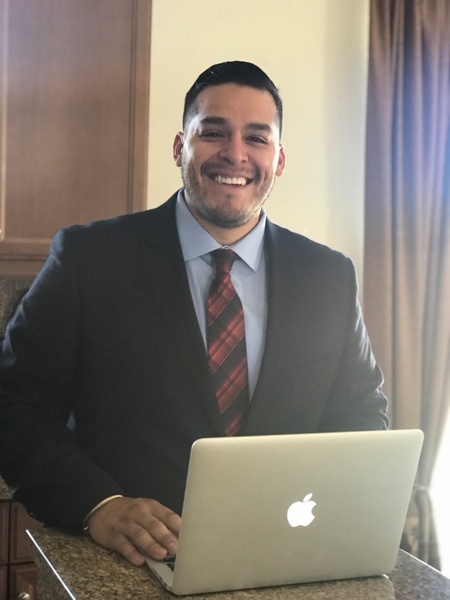 With a track record as a successful business owner, effective social services leader, and bilingual counselor (Spanish), I work closely with my clients to help them balance their lifestyle needs with their financial goals while maintaining a responsive, personable and professional approach. By listening actively and scouting strategically, my clients know, trust and believe that my interests lie in their success. Prior to working at Nest Seekers, I earned my M.S.Ed., with a concentration in Counseling, from St. John’s University in Queens, New York. While in graduate school I developed remarkable communication and leadership skills, which remained at the core of my personal and professional life. I received my B.S. in Athlete Administration and an Associates Degree in Business Administration. This laid the groundwork for what would become some of the more significant stages of my professional career. From November 1999 to August 2002, I worked at the New York Organ Donor Network. I was appointed Spanish Speaking Counselor and Designated Requestor. My primary responsibility was to provide information and bereavement counseling. I primarily worked with families helping them understand and accept the death of their loved one. The role also required me to engage with family members and to establish therapeutic discussions which could lead to the option of Organ and Tissue Donation. I also worked as a Youth Division Counselor for the New York State Division For Youth in the Bronx, New York. I managed the Pyramid Secure Center, a 28-bed residential unit that served as the adjudication placement of juvenile delinquents and youthful offenders. Part of my responsibilities included me providing individual and group counseling. I also provided staff supervision and served as Administrator on Duty twice a week. When not wearing my License Real Estate Salesperson Hat, I enjoy going to museums, Broadway shows, trying new restaurants, and spending quality time with family and friends. The Rodehau Team at Nest Seekers International was created to provide a new direction for real estate clients. We represent buyers, sellers and investors and we deliver the best properties that New York offers. We combine our energy and passion in meeting our clients goals. As a leading force in the real estate industry and head of my own team, I excels at navigating New York markets. The combine expertise in neighborhoods with sale properties in Upper West Side, Lincoln Square, Murray Hill, Chelsea and more gives them an edge in the market. She has the skill of helping buyers, sellers feel comfortable and confident throughout the entire buying & selling process. Finding the top property and selling for top dollar is important focus to sellers. As Real Estate Experts the team is covering the best city living in Manhattan. She has a sophisticated eye for finding opportunities in the New York market and a innate ability to match her clients needs with their perfect property. Carol has the ability to accurately interpret clients desires and preferences in their search for a home. 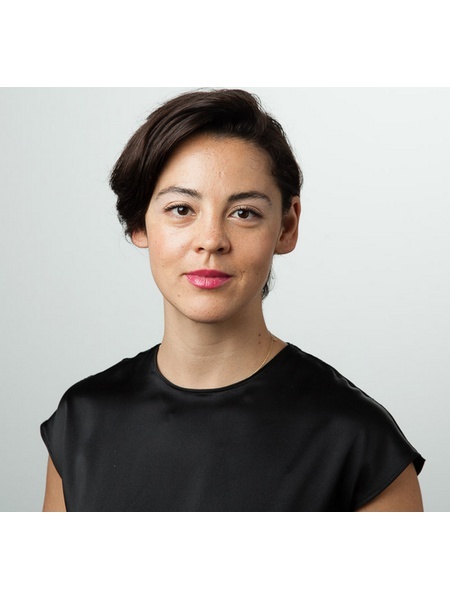 The pride of her approach is consultative as she was a technology consultant in Silicon Valley and Park Avenue in New York City. Her extensive knowledge for the city, allows her to narrow down exactly what clients are looking for in a new home. She has quickly become a player in the New York City Real Estate Market, happily satisfied the needs of her clients over major transactions. Whether you are looking to sell, buy or rent properties The Rodehau team is motivated and confident in her ability to find the perfect property for your needs. In her spare time she likes to explore the cities new shops, restaurants, rooftops and beaches. She currently resides in the Gramercy Park. With honesty and integrity whether you’re seeking your first home or a pied-a-terre, Elizabeth treats everyone as a client for life. With a passion for building everlasting relationships her personal dedication and the time she spends on each and every client proves Elizabeth’s commitment to client satisfaction. With a B.A. in psychology and a background in finance, Elizabeth’s transition into real estate was a seamless one. Elizabeth grew up in the real estate business. Her older sister owned two luxury real estate offices on the East End of Long Island. 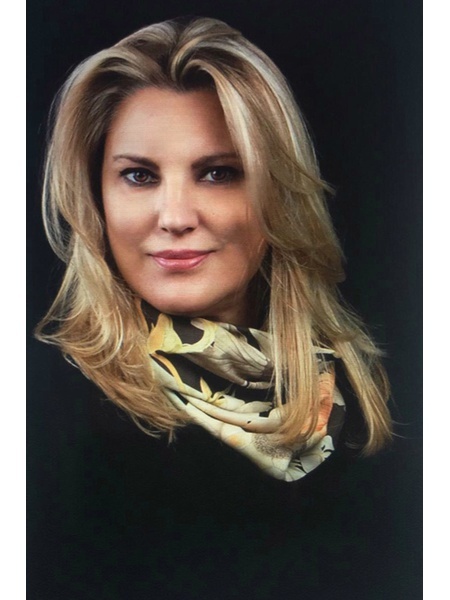 Born and raised in New York and with exposure to the industry at a young age, Elizabeth’s comprehensive understanding of one of the most significant markets in the world ultimately led her to capitalize on her wealth of knowledge and join real estate powerhouse Nest Seekers International. Elizabeth has augmented her unrelenting drive to excel with the extensive reach and operational capabilities of a truly best in class organization. When she’s not working to secure her clients their dream home, Elizabeth is exploring the many hidden gems New York has to offer or traveling the world with her family, friends, and puppy Capital. Tim Rojas is the epitome of intellect, work ethic and technological know-how. Staying up to date with todays marketing trends such as social media marketing and psychographic marketing, Tim is extremlely well versed. As the real estate market tends to shift continuously Tim knows how to market properties throughout any type of market. Tim Rojas has an extensive construction & development background, specializing in private, residential, and commercial projects. Born & Raised in Jackson Heights Queens, Stephanie is a true “Native New Yorker”. Coming from a family who was involved in sales and construction for decades, she gained a real love and passion for both at a very young age. She realized her true calling was real estate, after working behind the scenes for years in the construction industry. Stephanie has been able to experience first-hand massive superstructures being built, landmark buildings get restored back to their original beauty, and has walked through hundreds of construction-sites right here in the Tri-State area. The ultimate goal and mission is to provide a great experience to all my clientele, where they feel secure with thier investment and happy with thier new home. Having extensive experience working in complex environments, I have been able to cultivate a strong blend of leadership, loyalty, and trustworthiness within this industry. It’s all about building long lasting relationships rather than just the price of the sale. Stephanie ensures her knowledge & understanding of this current market can bring great value and advisory to anyone looking to buy an apartment, home, or any investment properties. With her admiration, dedication and hardworking abilities, Stephanie will always go up and beyond to protect the best interest of all her clients. Stephanie enjoys outdoor activities, exploring different neighborhoods & foods, connecting with locals + international visitors, and spending time with her pomeranian dog who loves long walks & treats! 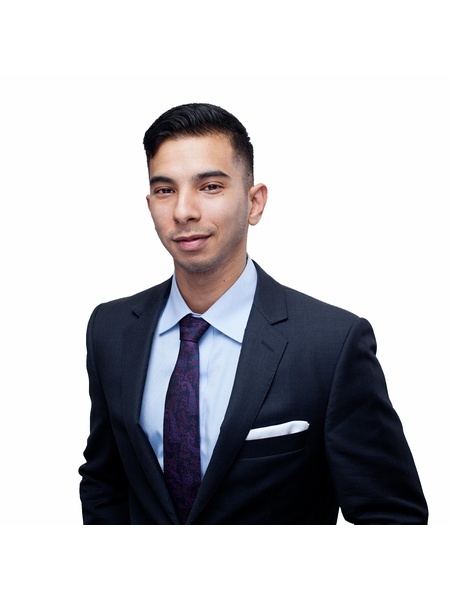 Joshua Salyi epitomizes integrity, energy, hard work and creative service in every detail of your real estate transaction. Josh was born in San Diego California and grew up in the construction industry. Raised in a hardworking family, Josh is very comfortable with tight deadlines, working tirelessly and is solution oriented, making sure each of his clients are extremely satisfied with their transaction. Josh has been involved in real estate for over 10 years as an investor, buyer, seller and developer. He understands how important it is to have a knowledgeable agent working with you on every aspect of the transaction from start to finish. Josh’s wide understanding of construction, architecture and general contracting give him an advantage in today’s real estate market. He is attentive, understanding of client’s needs and is solution driven. Josh, his wife and daughter live in West Chelsea. In their free time, they enjoy walking on the High Line as well as visiting art galleries and museums. Known for his high expectations, friendly demeanor, and ability to adapt to any situation. He has over 18 years of experience in the service industry. What sets him apart from the rest is his hard work, loyalty, and dedication to go above and beyond to exceed your needs and expectations so that your interaction is a memorable experience. He epitomizes integrity, hard work, and creative service in every detail of your real estate transaction in this vibrant and dynamic market. 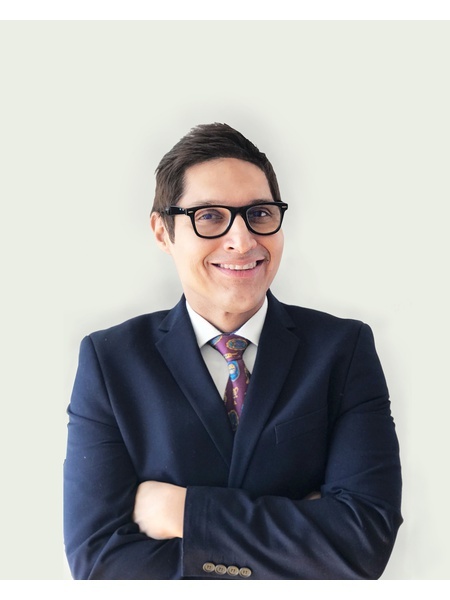 Jaime prides himself on his ability to be an active listener and to translate his client’s needs into a successful solution that satisfies his client’s needs. 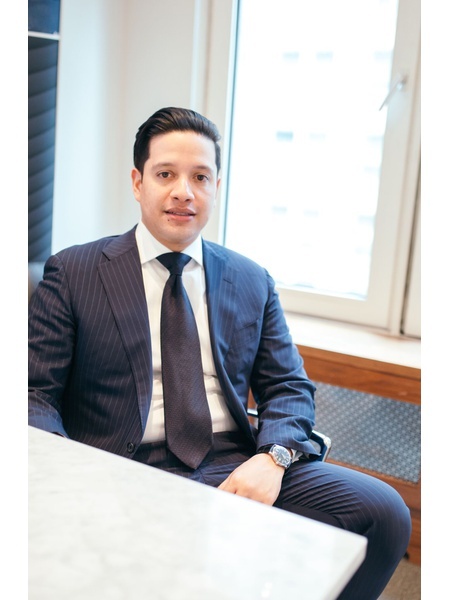 Whether you’re looking to invest, sell, buy or rent in New York’s dynamic luxury market, you can value Jaime's real estate reputation, advice, and counsel, counting on him with your complete trust. Jaime was born in Puerto Rico and at the age of five relocated to central Florida where he grew up and called home. It is there where he developed a passion for water sports like surfing, wakeboarding, and a love for the beach. In his spare time he loves to cook, build saltwater reef fish tanks, and take his weimaraner dog on bike rides daily in his wonderful neighborhood of Astoria Queens which he has called home for five years. 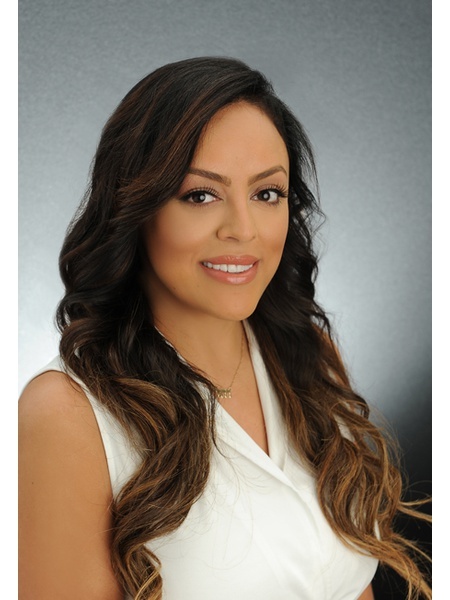 As a member of the # 1 Team in the Hamptons, the RC Real Estate Group, at Nest Seekers International, Maida's drive and determination to succeed and help her clients achieve their real estate goals is truly unparalleled. Whether you are buying, or selling or maybe renting for the summer Maida can help facilitate with all aspects of your real estate transaction. Speaking Croatian, German, Russian and Spanish have certainly helped Maida open many international doors along with building vast international network, which continues to grow here in the Hamptons. 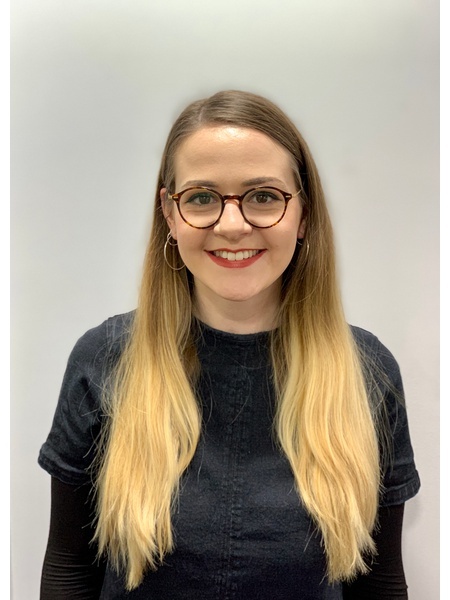 What's more, her diverse and prior business career along with her extreme attention to details have served her well in the areas of customer service, project management, accounting and bookkeeping. Her interpersonal skills are exceptional. Growing up in an entrepreneurial family have instilled qualities of loyalty, passion and helping those around her reach all their goals. Maida graduated from the University of Zagreb with a B.A. in Business and Economics and is a current MBA student. In her spare time, Maida enjoys spending time with the family, martial arts and home design. Mariely was born in the Dominican Republic and arrived in the United States at the age of 5. Since her arrival in New York City she gained an immediate enthusiasm for all of the marvels New York City has to offer. She began her professional career in the banking industry in two thousand and eleven, while attending school full time at Lehman College. 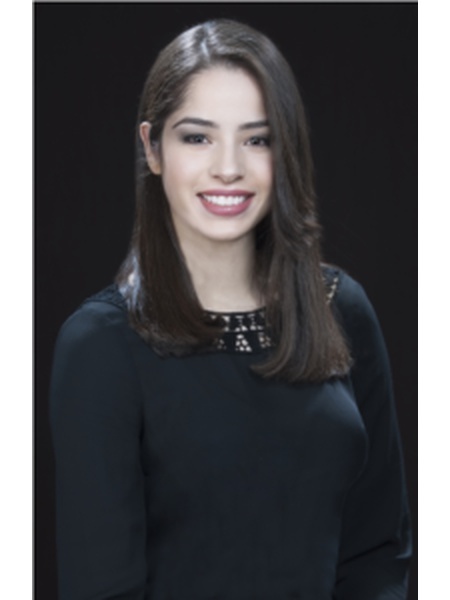 As a recent graduate, Mariely completed her education with a degree in Business Administration with a focus on Business Law and Human Resources. 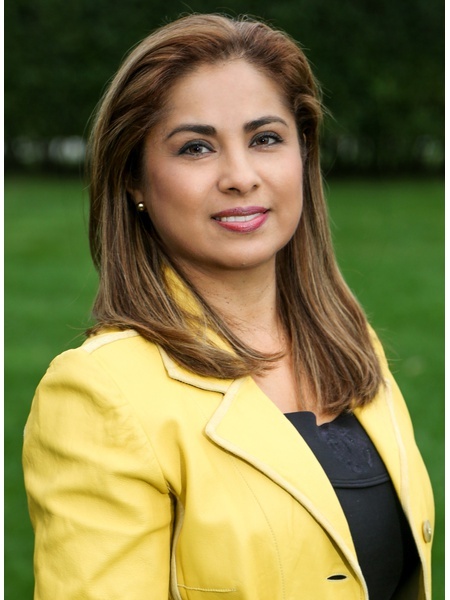 With her knowledge and networking expertise Mariely is an industrious and determined networker and negotiator. Her experience in the banking industry contributed to her natural inclination for handling fast paced and high stress situations without compromising her accuracy and attention to details. Born and raised in New York, Crystal has always been inspired by its hustle and bustle. The city has provided her with many experiences and opportunities throughout the years. These challenging and amazing experiences have lead her to her passion; the dynamic real estate buisness. As a real estate agent Crystal offers a valuable service through using her experience and knowledge of the real estate market on her clients behalf. Crystal works deligently to provide an outstanding experience to her clients as their professional advisor, not simply a salesperson. Crystal wants you to feel confident in the home buying, selling, and/or renting process. Crystal Thomas is a member of the Real Estate Board of New York. Contact Crystal of Nest Seekers International global brokerage for all of your Real Estate needs. "Crystal is very professional, knowledgeable and overall such an amazing agent. It’s a very challenging process in NYC to find a home that met all of our needs. Crystal was very proactive in finding different homes, while also expanding our views on what we wanted. Her calm collective manner always kept us at ease and confident that we were in the right hands. Thanks to her, we finally found our home and we couldn’t be happier. Beyond grateful for all of her time and help. She far exceeded our expectations, we highly recommend her." Passionate for discovery Priscila ventured into traveling early on. Her life started when she moved to Paris to study. There she grew to appreciate the European mindset. After a series of trips around the world and the USA, she came to New York City. The versatility, lifestyle, opportunities and cultural diversity of people that you encounter only here have made her finally find her niche. In several years she has lived in different areas including Manhattan, Brooklyn and New Jersey. Now her job and joy is to attach people to what they feel comfortable and happy with. 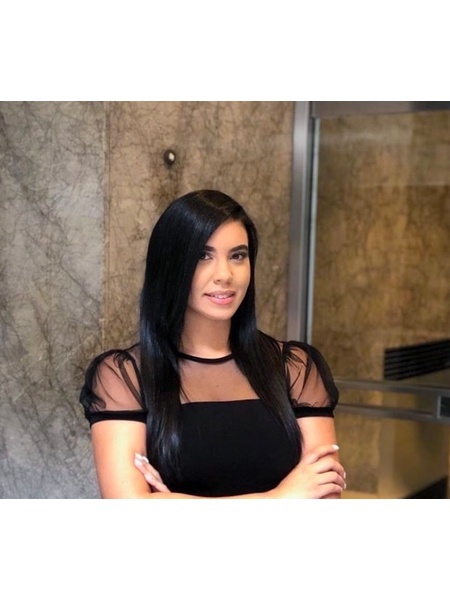 Priscila’s unstoppable diligence and drive to find the absolute best value, while meeting all of the expectations, is how she empowers her clients’ search for that perfect apartment. She is determined to make it a stress free, energetic and personable journey for brand new and seasoned New Yorkers alike. Her master’s degree in Industrial Organizational Psychology laid foundation for her analytical mind and work ethic. She’s fluent in Spanish, English and French, and studies Russian. Outside of her real estate profession, she is a ballroom dancer, a champion college wrestler and judoka, enthusiastic beach volleyballer, insatiable learner and standup comedy goer. Patricia is committed to always provide the highest level of service, she will professionally and effectively guide you through all aspects of buying, renting or selling a house. Patricia loves what she does and it shows. Patricia is someone who thrives on hard work, attention to detail and professionalism, she will strive to make you more than happy with your real estate needs . Patricia is committed to providing you with the highest level of customer service to make your real estate transaction as smooth as possible. Her attention to detail and commitment to excellence is what makes her clients customers for life. Working with Patricia as your Realtor you'll have the advantage of one on one attention, along a superior global network and great connections in the industry. She looks forward to eliminating any hassles and stress on your end and to help you with your Real Estate needs.